Looking for fun Picnic Food Ideas this summer? The Japanese Katsu Sando can be dressed up or down for children and adults alike! 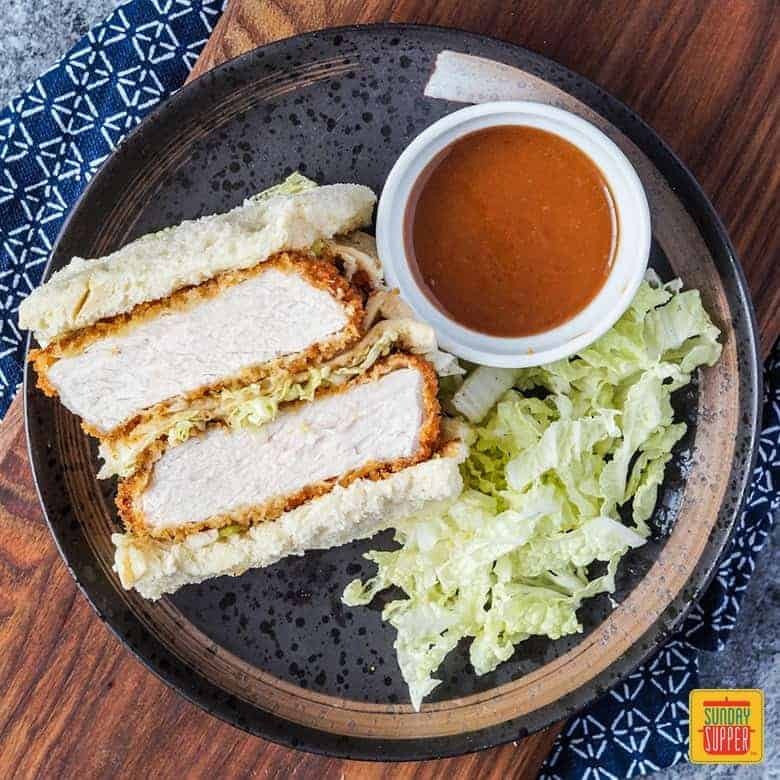 Fried panko-crusted pork cutlets are paired with squares of white sandwich bread brushed with a tangy Katsu sauce and thinly sliced Napa cabbage for an easy-to-pack lunch. Variations of breaded cutlet sandwiches are popular throughout the world from the Schnitzel-Sandwich to the Panino con la Cotoletta and the Sándwich de Milanesa. Katsu Sando (カツサンド) is the Japanese version. 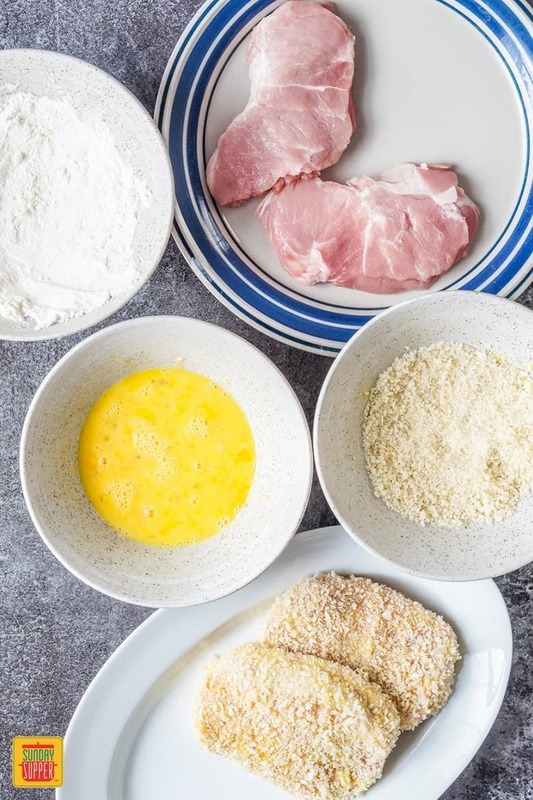 Slices of boneless pork are coated in flour, egg, and panko breadcrumbs, then fried until golden and cooked through. Serve simply with white sandwich bread or shokupan (milk bread) brushed with katsu sauce and maybe add some shredded napa cabbage. Want to dress it up even more? You can also add some chopped cucumber and tomato or lettuce in place of the cabbage. Refrigerate up to a day in advance to pack in a picnic or bento. I usually make Katsu Sando with the traditional Tonkatsu– fried pork cutlets. Chicken is also popular and an easy substitute. Even Wagyu has been trending recently. Pound the pork chops to your desired thickness. I have seen anywhere from 1/4 to 3/4 inch thick. I personally prefer the cutlets on the thinner side so they cook in a shorter amount of time and don’t overwhelm the bread. These photos show them a little thicker purely due to an untimely nap from my generally non-napping toddler. I used regular sliced white sandwich bread, but this sandwich is especially perfect with thicker sliced shokupan, Japanese fluffy milk bread. You can toast the bread if desired. I cut each sandwich in half to make rectangles, but have also seen them sliced on the diagonal to make triangles. You can use store-bought Katsu Sauce or make your own. 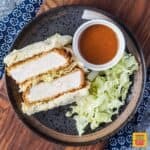 Some recipes for the more authentic Katsu sauce can contain as much as 20+ ingredients with additions such as pureed apple, prune paste, and vegetables. I included a recipe for a more quick version with ingredients that are easy to locate and often already in the pantry. 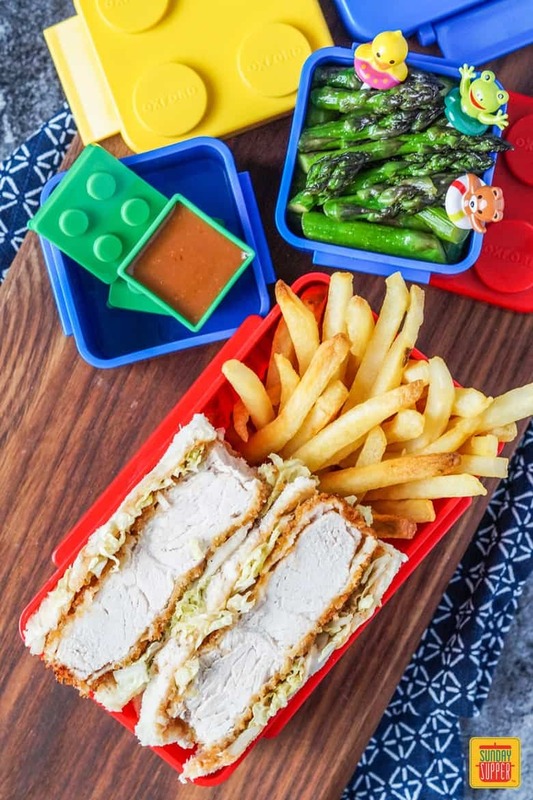 I served the Katsu Sando in a kid-friendly bento box with fries and sautéed asparagus drizzled with soy sauce and sesame oil. It would also be delicious alongside an egg salad or other favorite picnic sides. Looking for more Picnic Food Ideas? Looking for fun Picnic Food Ideas this summer? The Japanese Katsu Sando can be dressed up or down for children and adults alike. 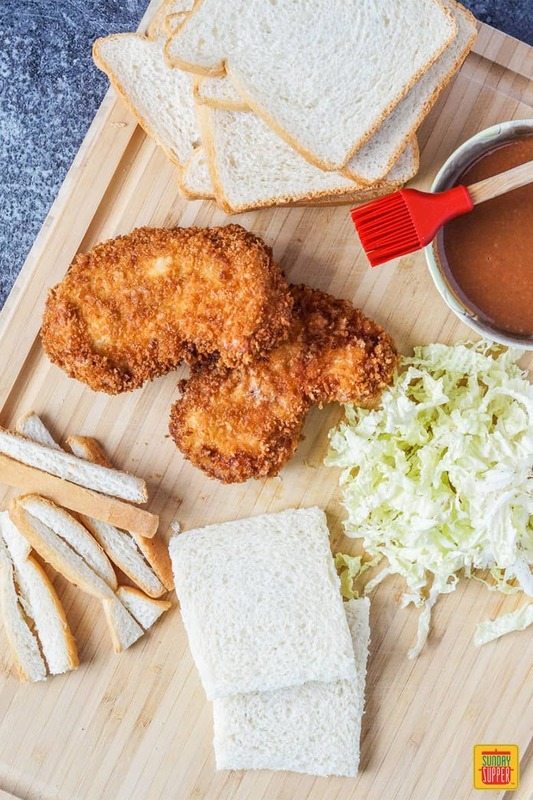 Fried panko-crusted pork cutlets are paired with squares of white sandwich bread brushed with a tangy Katsu sauce and thinly sliced Napa cabbage for an easy-to-pack lunch. Pound each pork cutlet to desired thickness, between 1/4-3/4 inch thick. Season both sides of each cutlet with salt and pepper. Place the flour in a wide bowl, beat together the eggs in another bowl, and place the panko in a third bowl. Coat a cutlet thoroughly in the flour, then the egg. Allow the excess to drip off, then completely coat on all sides with the panko. Repeat with remaining cutlets. Fill a large pan with about 1/4 inch of oil and place over medium heat. Once hot, add the coated cutlets in batches and fry until golden and cooked through, 2-5 minutes per side depending on the cutlet thickness. Transfer to a towel-lined plate. Repeat with remaining cutlets. Brush one side of each slice of bread with the Katsu sauce. Cover with a layer of sliced cabbage. Top half with the fried pork cutlets and cover with the other half of the slices, cabbage facing towards the pork. Cut each sandwich in half. Serve the Katsu Sando immediately or refrigerate in an airtight container for up to a day. In a medium bowl, whisk together the ketchup, Worcestershire sauce, oyster sauce, mayonnaise, sugar, soy sauce, and garlic powder until smooth. Cover and refrigerate until ready to use.